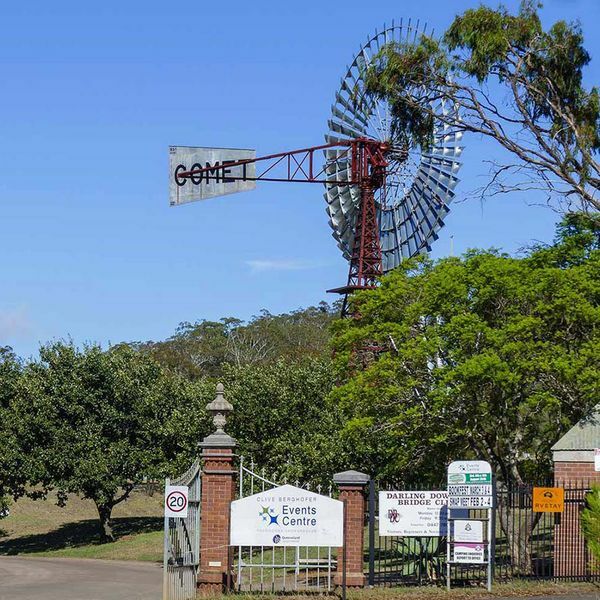 The Royal Agricultural Society of Queensland Toowoomba provides built and open space facilities of the highest international standards and is a key player having southern inland Queensland recognised as one of the premier destinations in the nation. We seek to continually delight all customers by providing, on fair commercial terms, and professional management for the staging of events. The production of the "very best" in the region had been the aim of agriculturalists and horticulturalists on the Darling Downs back in the 1860s, when the foundation bodies of the Darling Downs Agricultural Society and Drayton and Toowoomba Agricultural and Horticultural Society was formed. The formula for their establishment was based on the European agricultural shows. Many of the farmers who were founder members of these two societies had direct links with European farming families, having come from farming backgrounds in Germany and England to carve out new lives in Australia. The fame of the rich Darling Downs soils had spread to Europe and was the spur that drove these settlers to journey half a world to find their fortunes. The importance of Toowoomba in the national agricultural scene is gauged by the fact the Darling Downs Royal Agricultural Society (R.A.S) was the first to be established in the newly formed state of Queensland, and only the fifth in Australia. The Brisbane R.A.S. was not formed until 15 years later. Established to promote the improvement of stock and to develop the pastoral and agricultural resources of the colony of Queensland, the Royal Agricultural Society met the initial requirements of the graziers and livestock breeders, while the Drayton and Toowoomba Agricultural and Horticultural Society (D.T.A.H.S.) met the needs of the orchardists, graingrowers and dairy farmers. Initially they held their shows at different times of the year, the R.A.S. in mid-winter the D.T.A.H.S. in mid-summer and, while they operated separate calendars, they often worked in tandem, on one occasion sharing the same president. As the area expanded and developed, the operations of both shows grew in complexity and it was inevitable that duplication was taking place. So, in 1905, the societies amalgamated, holding the one show at the Campbell Street site. Over the decades since then the horticultural element of the show has diminished as the agricultural and livestock elements have increased in importance and volume. With the greater emphasis on beef, mutton, pork and dairy products more space was devoted to these areas of the primary industry. The Granite Belt expanded stone and citrus fruit production, while the Lockyer Valley gradually took over the role of market garden for the region. With the growth of Toowoomba from a small satellite hamlet of Drayton, to a fully fledged major transport and market centre, the small farms that had been the foundation family settlements of Toowoomba, were slowly but inexorable swallowed up in the growth of the city. Land hungry developers gobbled up the once abundant farms of such men as Robert Handley, as the demand for land grew ahead of the city's development. Similarly, with the growing importance of Toowoomba in industry and commerce the town of Drayton diminished in size and importance. Small farms lapsed into disuse or were taken over for urban development. The increased demand for larger blocks to the west to grow larger crops, had been the result of mechanisation. An indication of the importance of settlers like Robert Handley can be gained from the size of their obituaries. In his case the "Darling Downs Gazette" of November 18 1909, developed over 24 inches of space, making it one of the most prominent stories in the paper that day. Words such as "yeoman service, unselfish attention, energy, zeal" pepper the article, praising his industry and vision in the founding of the Downs Co-operative Factory in Toowoomba. He had been on of the instigators of the movement to set up the factory and he was the first dairy farmer in the district to import the South Coast herd cattle, realising that the milk production capabilities of these beasts would be very beneficial to the newly established dairy industry. The legacy of that successful dairy industry and the involvement of the breeders and exhibitors in the annual shows are the monuments to those men. In 1985 the society relocated to its current Glenvale site, home to some of the region's largest and highly regarded events. With over 245 acres of scenic country the purpose built Toowoomba Showgrounds is regional Australia's premier events centre.